Babymetal have released a new song titled Distortion to celebrate their upcoming 2018 world tour. In a statement, the band say, "On April 1st, known as 'Fox Day', a new prophecy was revealed. The prophecy revealed that up until now we have only experienced the Light Side and there exists an unknown Dark Side, a legend of seven metal spirits, The Chosen Seven. "The new song Distortion explores the unrevealed Dark Side, The Apocrypha, the legend of seven metal spirits in which power is distorted through time and space. The music video of this song presents this unknown side and marks the important beginning of a new legend." The forthcoming tour starts on May 8 in Kansas, Missouri, before heading to Europe for performances at the likes of Rock Am Ring and Download festivals. Last week it was announced that Babymetal were launching their own record label in partnership with 5B Management and Cooking Vinyl. 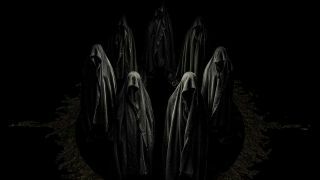 There is yet to be an announcement of further new Babymetal music, but fans can expect to hear Distortion played live on the upcoming world tour.